I swear, when I see a magazine shoot with someone lounging on their couch or on their balcony, I know if the pictures were taken in the LA enclave of Silver Lake. Beyond the burgundy leather couch and killer woven pillows and rugs, maybe the hint of a plant in the background so wild and dark I know it’s not one that I could grow in Toronto, it’s the light that gives it away. The light in LA is the source of half of my LA-envy. It’s not that whitish afternoon floodlight that’s the in Toronto and New York–you can tell when it’s 2pm there, winter or summer. It’s like the whole place is bathed in a warmer-than-morning sunlight. Something with a tinge of dusk-pink though it’s present throughout the day. Anyway, I have a huge crush on it. 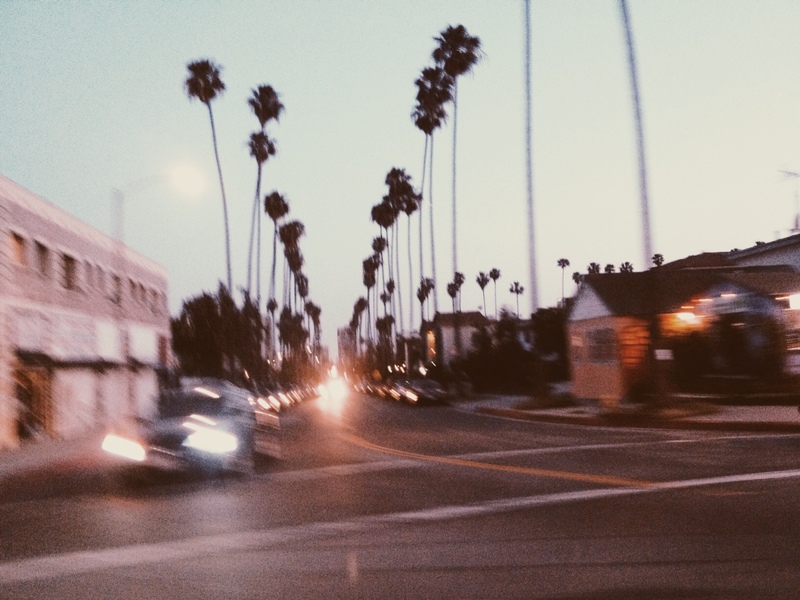 It makes me want to slow down, smile, eat an avocado and other annoyingly cliche Californian things. While here, I’m doing all of that and more. I might have eaten the best nachos of my life–vegetarian no less–at Petty Cash Taqueria the other day. I might be wearing dayglo sunglasses with too-heavy shoes pretending I fit in in Echo Park. A proper city guide update is coming soon. In the meantime, send all of my mail west, I may be here a while.